i.e. from the vehicles own water pump. 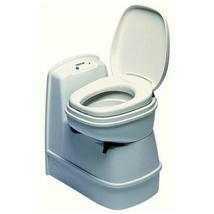 This is a really versatile toilet that can be used when space is at a premium!